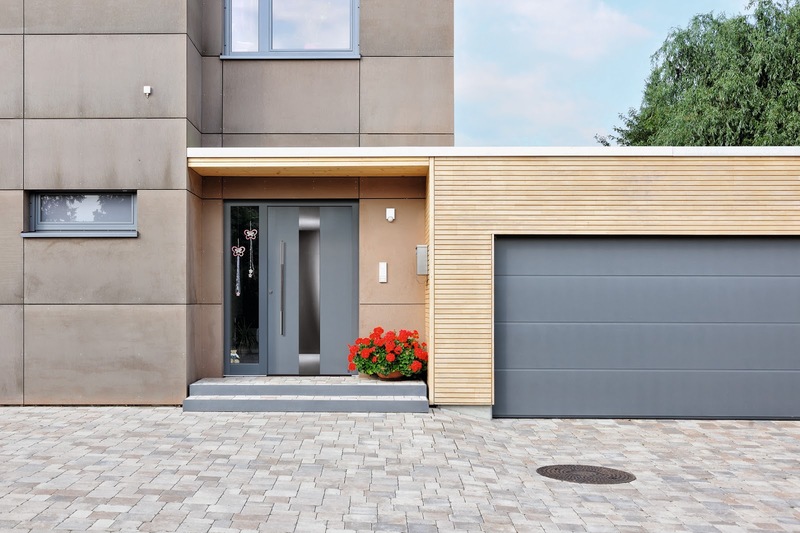 The ThermoSafe and ThermoCarbon represent a new generation of high-insulation entrance doors, designed for low energy homes and housing developments. Impressive thermal and acoustic insulation plus high security, are key features of these new aluminium entrance doors. The ThermoSafe features a 73mm thick door leaf with a rigid, CFC free, PU foam infill and an aluminium sub-frame with thermal break, which gives an excellent U-value as low as 0.8 W/m2K. For a more individual look a choice of frames are offered with the ThermoSafe. A broader 110mm width flush fitting frame is an option alongside the standard 70mm width as well as both the rounded edge Rondo 70 and the Caro 70 frame styles. Five point locking and hinge side security bolts are standard as are 3-way adjustable hinges and all-round double seals. Triple glazing, with 8mm thick laminated safety glass on both the interior and exterior, is also standard for glazed panels and side elements. 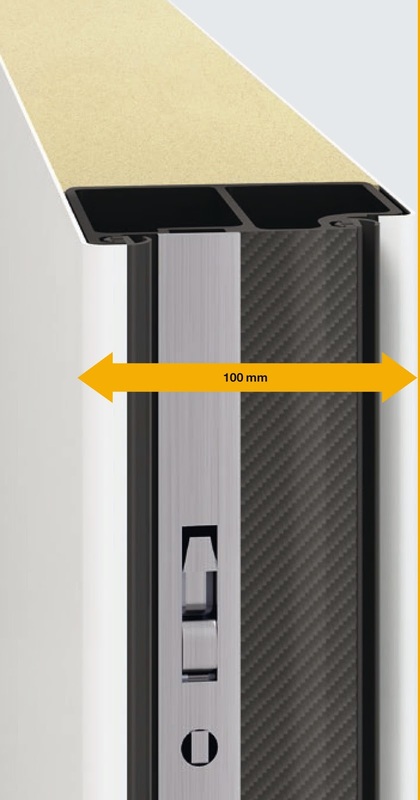 For the ultimate in insulation, the ThermoCarbon door marries a reinforced carbon fibre subframe with solid PU foam in a 100mm thick door leaf, to produce an entrance door with a U-value of only 0.47 W/m2K. Optional quadruple glazed panels help to maintain this ground-breaking level. This door also comes with 9-point locking and concealed hinges as standard. Styling choices are enhanced with a choice of flush fitting exterior handles exclusively offered with this door. There is a choice of stainless steel and aluminium recessed handles or an aluminium continuous handle bar running down the door. These can be colour coded, with a choice of standard preferred colours or the option to select any RAL colour. With some styles there is even the opportunity to have a carbon finish. Matching side elements and transom lights compliment these new doors which add to the complete range of entrance doors that Hörmann offer. For full details of the styles and options available, please contact Hörmann (UK) Ltd on 01530 516888 or email info@hormann.co.uk.